I was listening to a podcast this morning & the topic of self love came up & the speaker was talking about how much better everything would be if we would LOVE ourselves. I think this has been an ongoing struggle for me. 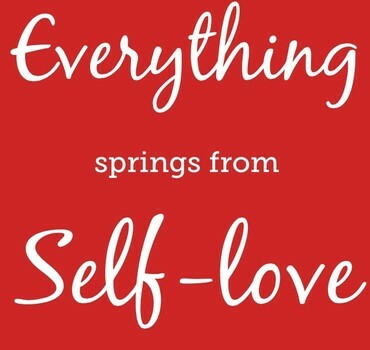 I think it is an ongoing process to find self love and develop it and nurture it. I am going to periodically post different ways to put a little more self love into your life. Here we go!! Here are my first suggestions for putting a little more self love into your life. When we are able to LOVE ourselves then we begin to truly recognize our connection to the divine. Surround yourself with people who enlighten you: surround yourself with the types of people who will lift and build you, enlighten you about higher living, say things that will teach you about becoming a better person, have conversations that stretch and grow your soul then they will be a source of light and inspiration for your life. People you will yearn to be around. If there are people in your life that drain your energy, that are not kind, say belittling comments, etc. Make a conscious decision to not spend time or surround yourself with these types of people. Be gentle with yourself: we are often far too hard on ourselves. If you find yourself beating yourself up over past mistakes, eating something you shouldn’t have, talking negatively to yourself, focusing on the lack, etc. Remember, be gentle with yourself, know life is a walk of learning and growth. As long as you are learning from challenges, there is growth. Be gentle, nurture your feelings, be kind with your heart and begin to recognize, see and understand the bigger picture—you are connected to divinity. Live with a daily prescribed intention: Look at your life & evaluate what you need to fulfill it–do you need to live with more meaning, do you need to feel more healthy, do you need to feel more connection in your life, do you need to feel more spiritually connected…what do you need to feel better about your life? Then look at a particular area & set a daily intention of something you would like more of in your life. One example of this: I am working on creating an intention of bringing more spirituality into my home, so I am following the steps in Deepak Chopra’s book ” The Seven Spiritual Laws for Parents” it outlines different things you can do each day of the week to instill more spirit in your home as a parent. You could do this with a variety of areas & take one thing each day if you like. Look at it as a daily dose of self love—prescribe for yourself something each day that would make you feel a little more loved, valued and appreciated. Don’t look OUTSIDE look WITHIN: The love you need is held within. It is and always will be there. Sometimes the ups and downs of life experiences begin to bury this love, but it is there, patiently waiting for you to look within to find it. Don’t get caught in the trap of thinking that external things will give you the love you desire. Things can’t buy or give you the LOVE you need. Take some time to be ALONE: alone time, away from relationships, family, schedules, activities, etc. is nourishment for the soul. Whether you take yourself on a date to the local art museum, go on a walk in the woods, read a book bundled up on the couch alone, have a prayer in your car, or just take a long drive to have some time to be alone in your thoughts. Take some time to be alone in your mind, to go to a place of re-connection, a place where you can hear yourself think, a place where you can pray out loud, take a moment to just be alone—to recharge, to stop, to be still. Find GRATITUDE: This is always a good thing for self love and self nourishment. You can find gratitude any time, anywhere. You can say it out loud like a prayer of thanks, you can write it down in a journal, you can discuss it with family, you can share it with friends. Gratitude is a great expression from the heart. When we begin to see the little gifts within our life—our life truly changes. The LOVE begins to flow where it is needed most. LOVE LIST it: We often over look all the gifts we have been given–the talents, the personalities, the things we are good at, the things that make us shine. Over the years I am sure you have heard praises or compliments that brought a smile to your heart. Take a moment and write them all down. Think of anything and everything that people have said about YOU…your beautiful smile, your loving heart, the way you wear your hair, your style, the way you dance, play the piano, the wonderful mother you are, the great friend you have become, etc. Find a beautiful piece of paper and make a LOVE LIST…and list out all the beautiful things people have said about you. Then put it somewhere to make it shine. Somewhere where you can look at it every day and remember the beautiful things that are YOU. Here is another link to 31 days to Self Love. Check it out and see if it is worthwhile to you.